You may hear this term often when dealing with Relational Database Management Systems (RDBMS). 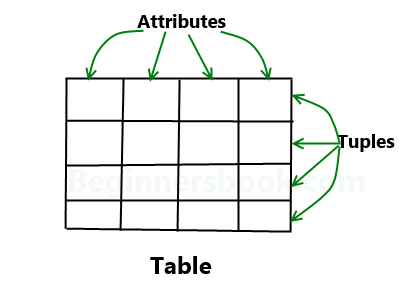 In RDBMS, a table organizes data in rows and columns. The columns are known as attributes whereas the rows are known as records. Here student_id, student_age and student_name are the attributes.